Feed the Future Partnering for Innovation has invested almost $1 million in grain storage technologies that are appropriate for both on-farm and market trader storage use. 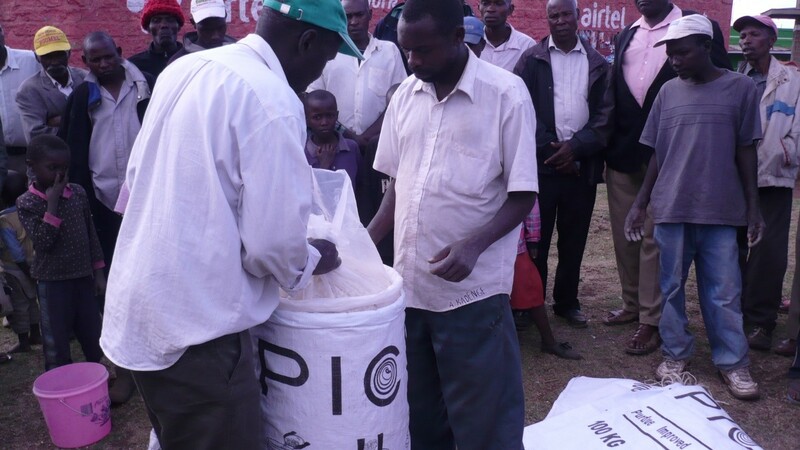 One of our grants includes The Purdue Improved Crop Storage bags (PICS), a triple-lined 80 kilogram plastic bag that permits users to adjust the bag size to meet their volume while still allowing the bag to be hermetically sealed, thereby preventing pest and insect damage. Under the aegis of Partnering for Innovation’s market-entry grant, Purdue University introduced its PICS bag to the Kenyan market in partnership with local distributor Bell Industry Ltd. The program recently celebrated a successful milestone in holding 800 bag-opening ceremonies in local villages and markets that demonstrated the bags’ effectiveness. The open bag ceremonies serve as both a public training and marketing opportunity. In a region where up to a third of the grain that is harvested is lost before it goes to market due to poor storage practices, Purdue works with Feed the Future Partnering for Innovation to provide a storage solution to smallholder farmers that is affordable and scalable. Harvested products stored in these hermetically-sealed triple-layer bags remain unharmed by pests, allowing the farmer to successfully retain the harvested product for sale or family consumption. To demonstrate the bags’ value to the community, farmers who had purchased and used the PICS bags immediately post-harvest held bag-opening ceremonies in markets or village centers months later, showing people the pests that had died as a result of the bag’s unique structure, leaving the product inside unharmed. 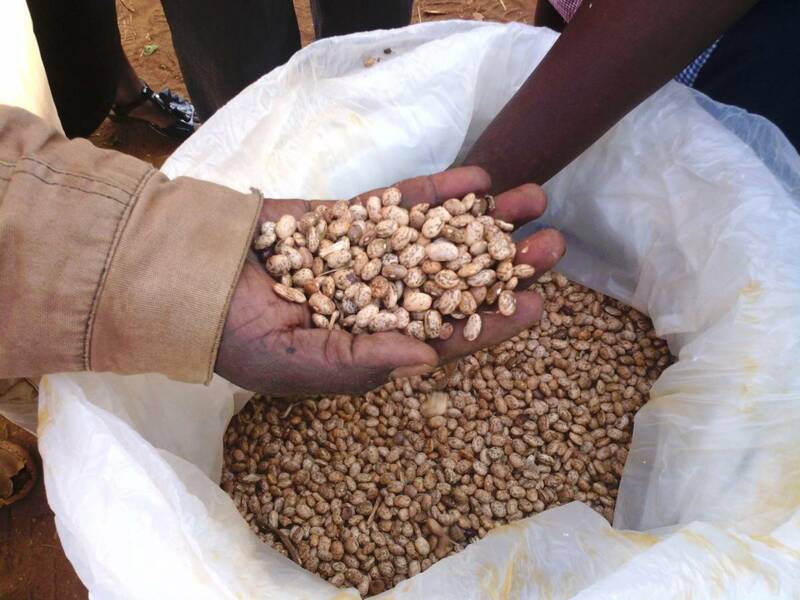 To date, Purdue has sold over 46,699 PICS bags in Kenya, providing thousands of smallholder farmers across the country access to technology to reduce their postharvest losses by as much as 40 percent.